Adversity is all around us. While some are able to bounce back, others struggle. Why the difference? That’s the question researchers studying resilience have been trying to answer, and their studies have identified several factors that can help people overcome the effects of adversity. The Resilience Project builds on those studies by seeking ways to add resilience factors to the lives of children, families and the community. When community organizations add an understanding of resilience in their programs, the benefits are multiplied. 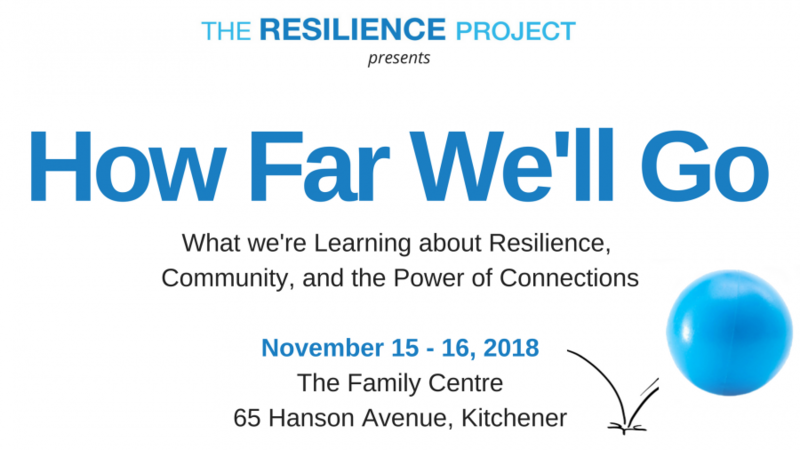 Attending this conference will enhance your work with children, youth and/or families as you learn more about what others are doing to support resilience and see ways to implement these strategies in your own area. Join us on November 15th and 16th, 2018 to explore new research, hear speakers from local organizations and international organizations, and discover how to engineer resilience. Lunch will be catered by Morning Glory Café, a community initiative by Ray of Hope. Morning Glory Café is a social enterprise designed to teach practical skills and positive work habits to young people who have experienced long-term difficulty obtaining and/or maintaining employment. You won’t want to miss keynote speaker Robbie Gilligan from Dublin, Ireland who will share his findings about the role social services can plan in supporting the growth of resilience. Learn more about our keynote speaker, Robbie Gilligan. Partners from The Resilience Project and other experts in the field of resilience will be offering workshops. Our suggestions on places to stay and eat, as well as things to check out while you’re in town!